Now that Xiaomi has made Redmi the new Sub-Brand, to make its position tighter in the world, Redmi did something that Xiaomi didn’t so for years. Yes, Redmi changed the back body from metal finish to a glass body which just looks gorgeous in the gradient finish. Redmi has also improved the cameras. 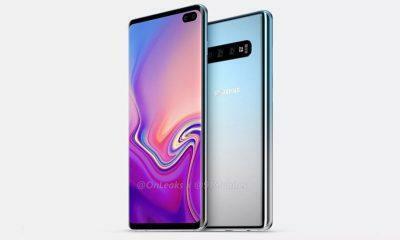 A new 48MP Camera has been added which is just a marketing strategy according to me as seen in our testing. As usual, Redmi will be releasing a lot of updates for their phones and due to that reason, we have started this update series. The Redmi Note 7 Pro comes with a 2.5D 6.3-inch FHD+ display with a small dot-notch on its top. The phone has the protection of Gorilla Glass 5 with an aspect ratio of 19.5:9. 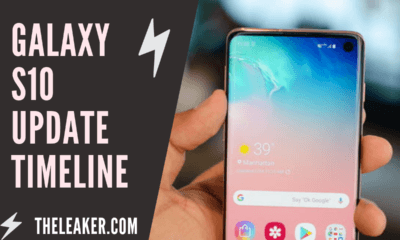 The phone is given power by a full-fledged 11nm based Octa Core Qualcomm Snapdragon 675 SOC which justs outperforms the 10nm based Snapdragon 710 SOC. The main highlight of the phone is the cameras. The phone sports a 48MP SONY IMX586 Primary sensor with a 5MP depth sensor. While on the front the phone has a 13MP Front facing shooter. It comes with a USB Type C Port and a massive 4,000mAH Battery onboard with support for QuickCharge 4.0. However, the box charger is just a 10W standard charger, but you can buy any Quick Charger to charge the Redmi Note 7 Pro quickly. On the software side, the phone runs MIUI 10 on top of Android 9.0 Pie. 11 March 2019: The Redmi Note 7 Pro received the MIUI 10 9.3.7 Beta with an added 48MP shooting mode, enhanced system stability, improvements in performance and security. This is the first MIUI 10 Beta that the phone has received and is expected to improve system performance drastically. As we all know the development of the MIUI 11 has started, and we all are expecting some amazing new features. The MIUI 11 will be minimizing the number of ads and bloatware as stated by Xiaomi. The Redmi Note 7 Pro will be receiving the MIUI 11 Update soon after the official launch. We can guarantee you that the Redmi Note 7 Pro will be receiving the MIUI 11 Update. The MIUI 11 is expected to release in the Q3 or Q4 of 2019. We will update you as soon as the beta, and the official update releases. While it may take some time for all the users to get the OTA update, some users like to have the update as soon as possible. Xiaomi has also given an inbuilt ROM flasher in the settings so the users can download the file and flash it if they need to do so. So here are the steps if you want to flash the MIUI ROM manually. Step 1: Download the MIUI ROM for Redmi Note 7 Pro and save it to your phones internal storage. Step 2: Open the Settings App and move to System update; this will open the MIUI Updater App. 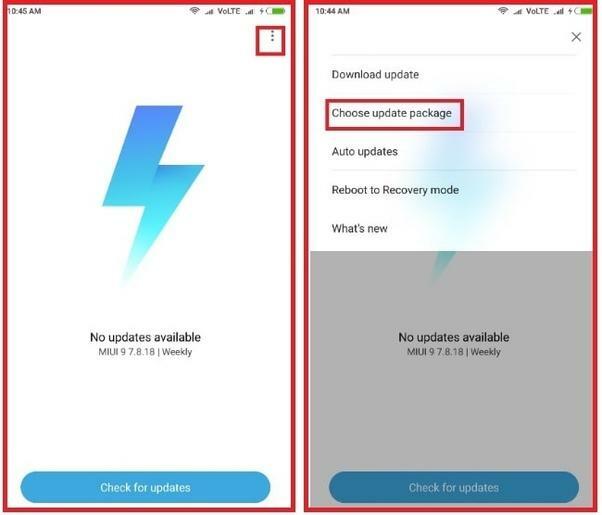 Step 3: Click on the three-dot icon and select “Choose Update Package” and click ok.
We will keep updating this article if any future Redmi Note 7 Pro update arrives, make sure that you keep visiting our site.